Ita��s paper made from the bark of the mulberry tree. But hanji is anything but fragile. In fact, it is so durable that Koreans made clothing with it. a�?They say the life expectancy of silk is 500 years but that of hanji is 1,000 years,a�? states Jeoung Eun Hee, a hanji artiste and graduate of the Yewon Arts University, who is bringing down a selection of her work to exhibit at the Inko Centre, under the title The Magic of Hanji. 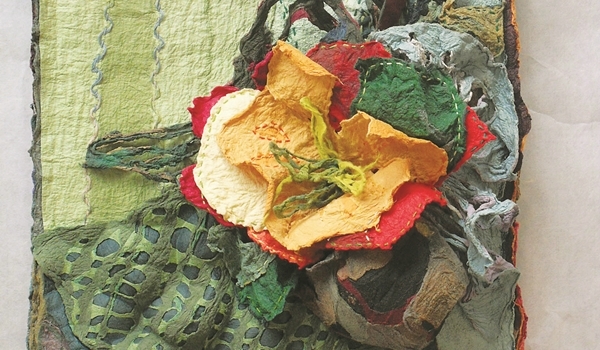 Eun Hee uses the a�?jumchya�� technique to create paper with a variety of texturesa��she kneads several pieces of hanji with water to ensure their fibres merge. a�?This method has been used for centuries to create a texture similar to leather. It is then used to make handicrafts,a�? explains the artiste, who has been working with hanji for over 19 years. Combining it with traditional Korean embroidery, she creates craftwork like Saekji (pasting several layers of hanji to make a frame), mulberry paper dolls, Jiho (much like papier mA?chA�) and Jiwha (hanji paper flowers). a�?I play with it and the resultant products make me happy,a�? she says. Eun Hee will also be at hand at the launch of the exhibition to introduce her artworks and perhaps even give a quick demonstartion on the versatility of hanji. a�?We were particularly interested in how she brings a contemporary relevance to the tradition,a�? says Rathi Jafer, director of the Inko Centre, adding, a�?She fuses several techniques of craft, tapestry and detailing to make her products. At the exhibit you can see frames and lanterns to runnners and decorative piecesa��all aesthetic and functional.a�?